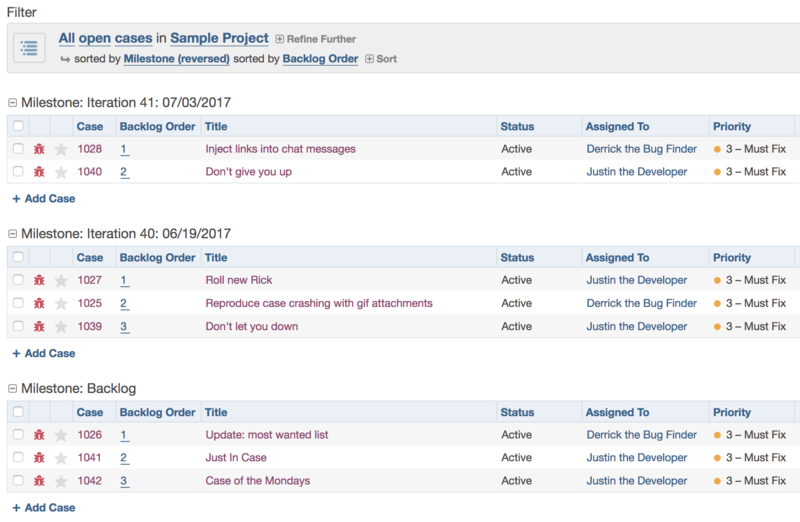 Backlog Order allows you to carry your Iteration Planner context over to the FogBugz filter view in FogBugz Ocelot. More specifically, it lets you see how you ordered your cases in each milestone. While Iteration Planner is a great way to organize your backlog and next milestone, filter views can let you cast a wider net across all of your cases during an iteration. Now, that net can include how you’ve ordered cases in the Iteration Planner! Learn more about using this feature by browsing through the following sections in this article. A “Backlog Order” column is available under the “Select Column” menu in the filter view. 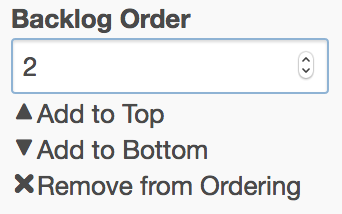 Ordering by this column will also add a sort by Milestone, so the “Backlog Order” column has the appropriate context. If you find that cases don’t have an order number yet, the,y may not have been manipulated in the Iteration Planner. It’s a great way to find cases that could use some attention. 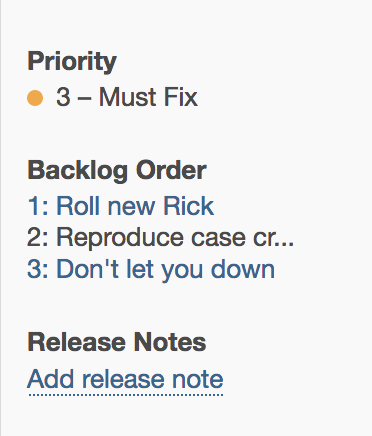 While Backlog Order applies to any milestone in Iteration Planner, what if you have a milestone that’s a true case-catching backlog? A new option has been added on the Milestone page for just such a thing. In addition to the rest of the Backlog Order features, any cases whose order has been set in the planner will also display their Backlog Order on the Iteration Planner. Need to move a case quickly? Click on the Backlog Order number and set its new order. Promote a case right to the top, or send it straight to the bottom. You could also move it to a set slot, like 8. To enable this option for a milestone, go to the Projects page and edit the project containing the milestone (or any project for a global milestone). Now edit the milestone and set switch the “backlog” radio button to “yes”. For those customers not on FogBugz Ocelot and using the former Project Backlog plugin, never fear! We can transfer your current Project Backlog plugin data to the Backlog Order plugin. Then you can use Ocelot without missing a beat. Please contact us so we can make sure you have Ocelot available and get your data moved forward.